Essential Oil Mandarin Bioaroma was added to your shopping cart. Mandarin natural essential oil with tonic and revitalizing properties to skin, suitable for baking, 100% pure. 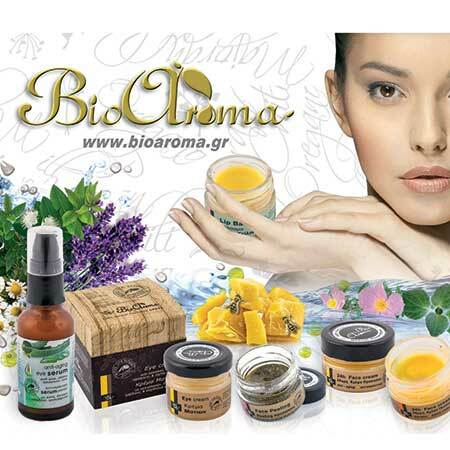 Essential oil Mandarin Bioaroma has tonic and rejuvenating properties to skin and is suitable for baking, 100% pure. • With toning & rejuvenating properties to skin: Drip 20 drops to 100ml almond oil and massage your body after bathing. The aroma relaxes you while its beneficial ingredients penetrate the skin, making it look more vibrant and youthful. • Pastries: Worthily replaces tangerine juice, dripping 15 drops to your desserts. • Relaxing massage for babies: Combine 10 drops of mandarin oil with 4 drops lavender in 100ml almond oil and massage your baby after bathing and before night sleep. Then cover with a very soft blanket and let it do the sweetest sleep. • Decoction: This is a 100% pure essential oil, so you can drip a drop on your favorite tea bag and give your tea a more fruity flavor.